Please see your librarian for a username and password. 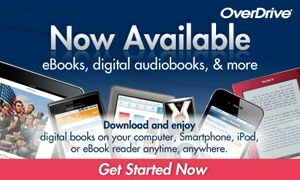 We offer our patrons access to hundreds of downloadable eBooks and Audiobooks through OverDrive. With this service, you can browse the best sellers, popular titles, freely available titles (out of copyright), and locally produced content all in one place!